That totally made my day, thanks! Your car is looking good by the way!! awesome video, thanks! Been thinking about this event for a few years. Maybe it's time to dust off the Javelin and bring it down. I've never been to Willow Springs and it's on my bucket list! This is a High Performance Driving Event (HPDE) for street/OEM cars. Some race prepared cars will attend as well. Run groups will be divided according to experience. Don’t be shy, this is not a race. It’s for the driving enthusiast. If you are a Newbie rest assured that we will work with you to build skills that will help keep you safe and get the most from your experience. All cars are welcome! 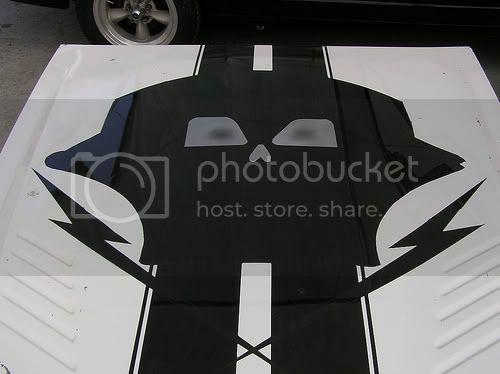 As seen on Hot Rod Network….last years event, check it out !!! Back by popular demand ….. Drag Racing at lunch. Cash prize to 1st, 2nd, and 3rd. This little known secret Mopar event has been going on for 12 years now. The SFSF has been the training ground for well developed Mopars who’s owners don’t subscribe to the “if it’s sold in a magazine then it must make my car faster”. If you are going MAD trying to get your car ready in time for this event give us a shout…we may be able to help. Currently we are having group weekend work thrash sessions on a ’72 Cuda, ’70 Camaro, both of which have yet to set tire on a track yet. Also putting finishing touches on a ’69 Camaro. They are in the neighborhood and have a fridge in the garage so we couldnt help ourselves. Let us know if we can help. Spring Fling Speed Festival (SFSF) is coordinated with CPW Club Spring Fling schedule at Woodley Park for the convenience of those who come long distances for a fabulous Mopar weekend. SFSF is April 11th, the Thursday before the CPW Club Woodley Park show which is April 13th and 14th. SFSF is the largest collection of MoPars at a road course. Bring your trailer Queen, or project rod and give her the workout she deserves. What better way to spend a day than at the track with a mix of bondo buckets and trailer queens blasting down the 1/2 mile front straight at 90-140 MPH, or faster if you feel like it. Who’s eligible? Anyone with a driver’s license, a car and a helmet. All cars are welcome… we’ve seen them all. Bring a friend and come join the excitement !!! This is only 55 miles from Spring Fling/Woodley Park location. 0700 Gates open, Freshly cooked breakfast available, organic on request. 0900-0930 “Chalk Talk” for newbies, with Dan English. 1800 Dinner at El Indio, Mexican food, 3 miles back on Rosamond towards the 14 fwy, turn left at El Indio sign on 40th St. and go ¼ mile North, you’ll run into it. Photos: At track print work and CD’s available at very reasonable pricing. Custom t-shirts in the gift shop. This all day track event is $325. Pre-register before 3/14/19 and pay only $275. Same Day Registration add $50. So that’s $375 same day for you last minute types. No credits or refunds after 3/14/19. Convertibles must have either a fixed 4 point cage, or Pop-Ups with 5 point harness. ok I just sent payment... been working on getting the old Javelin out of dry dock. Have not run the car in 3 years! looking forward to getting it back on track! Great car. I want to see more. thanks! what would you like to see? lot's of pics/video at asifnyc.com and in other threads on this forum. thanks, I checked out your blog. You aren't the only one! Let the good times roll.